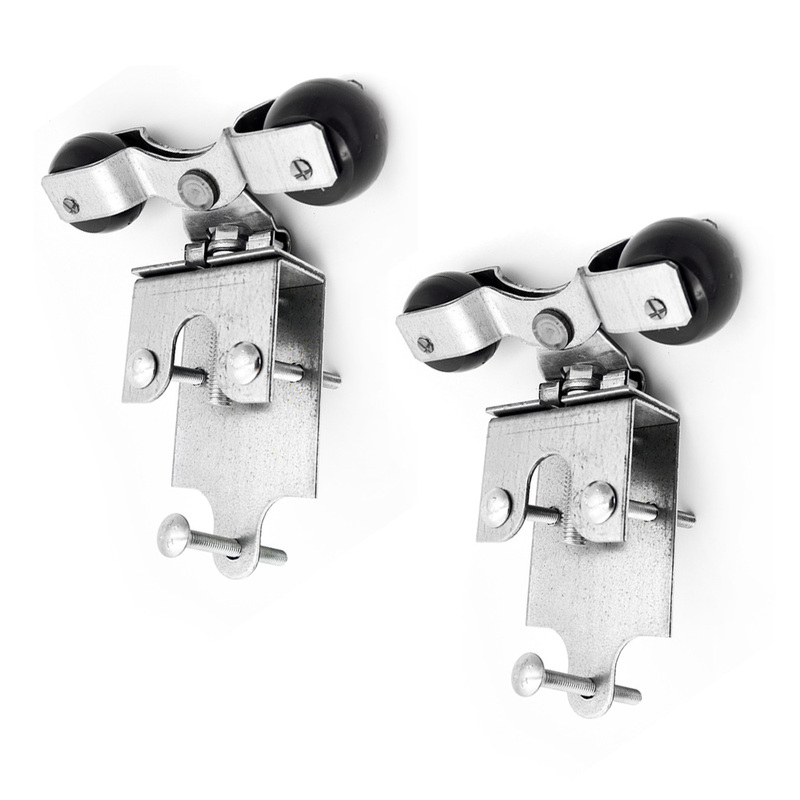 The Derby Pro-Line grill top door kit includes everything you need for assembly, except for wood inserts. 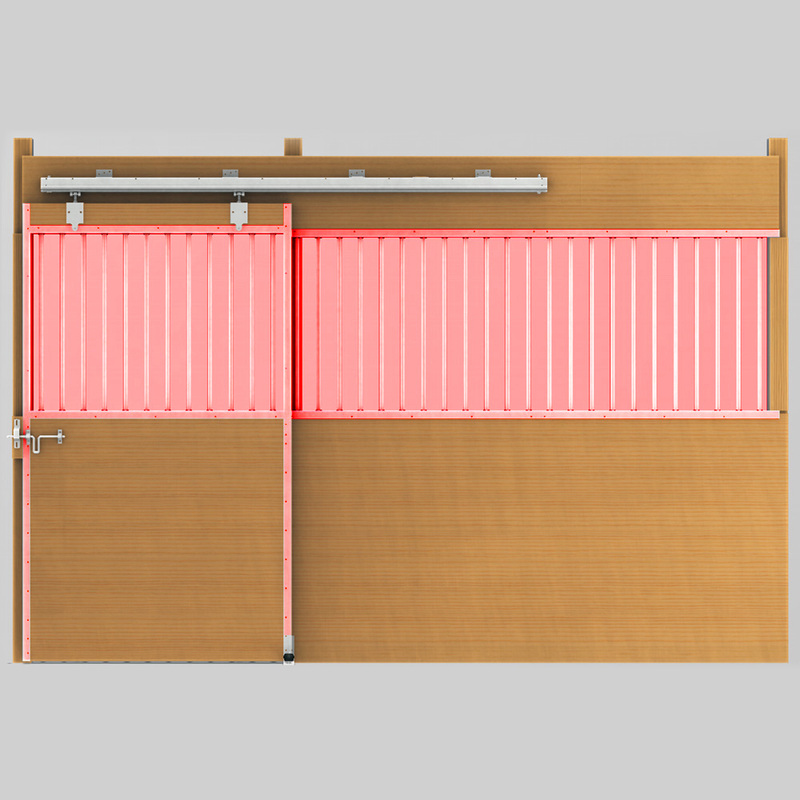 This smooth sliding door has a grill top section to allow extra (much-needed) ventilation for your horses. 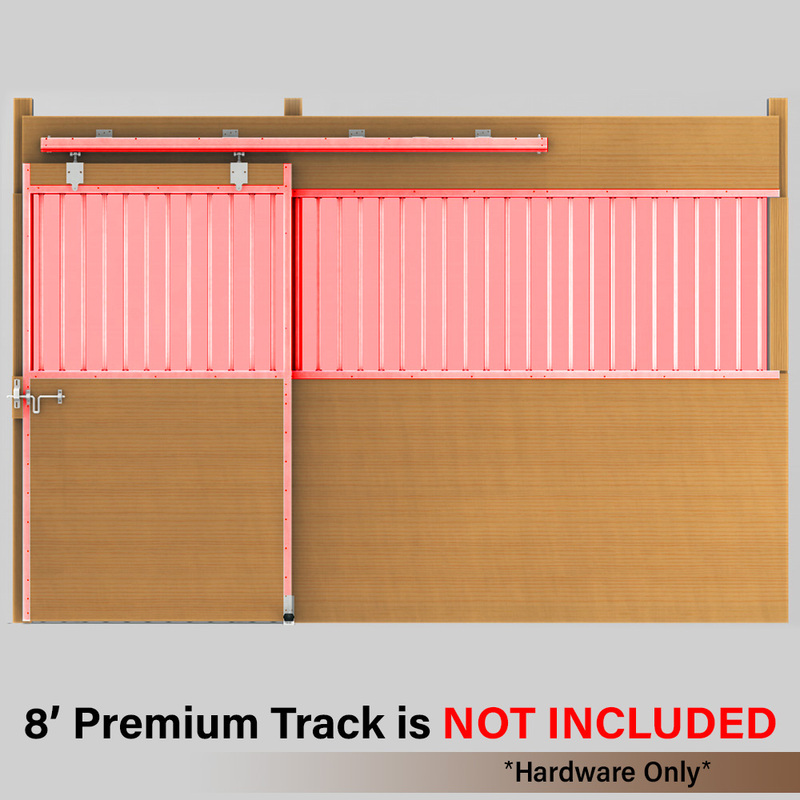 This Derby door Premium track kit includes everything you need (including an 8' Premium track) to connect your sliding grill top door to your horse stall front. Easily slide your stall doors back-and-forth! 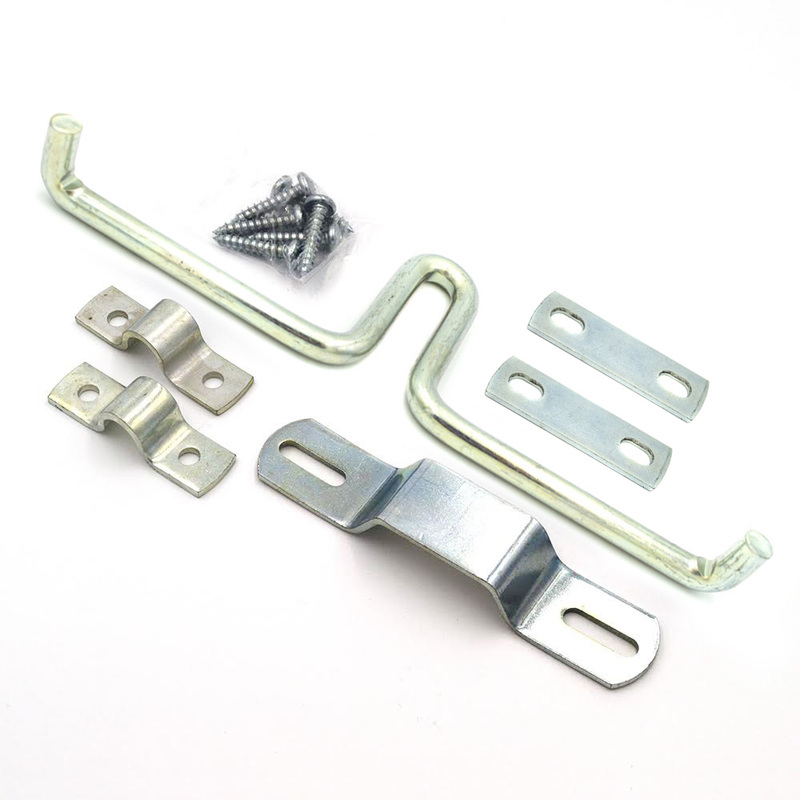 This Derby door hanging hardware kit includes everything you need (excluding the 8' Premium track) to connect your sliding door to your horse stall front. Easily slide your stall doors back-and-forth! 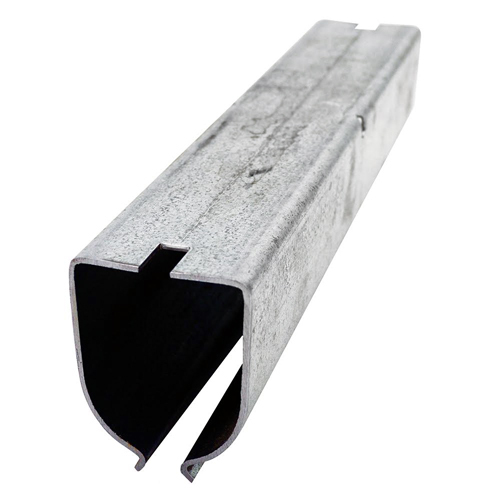 Our 8' Premium track is a teardrop-shaped, heavy-duty self-cleaning track system. 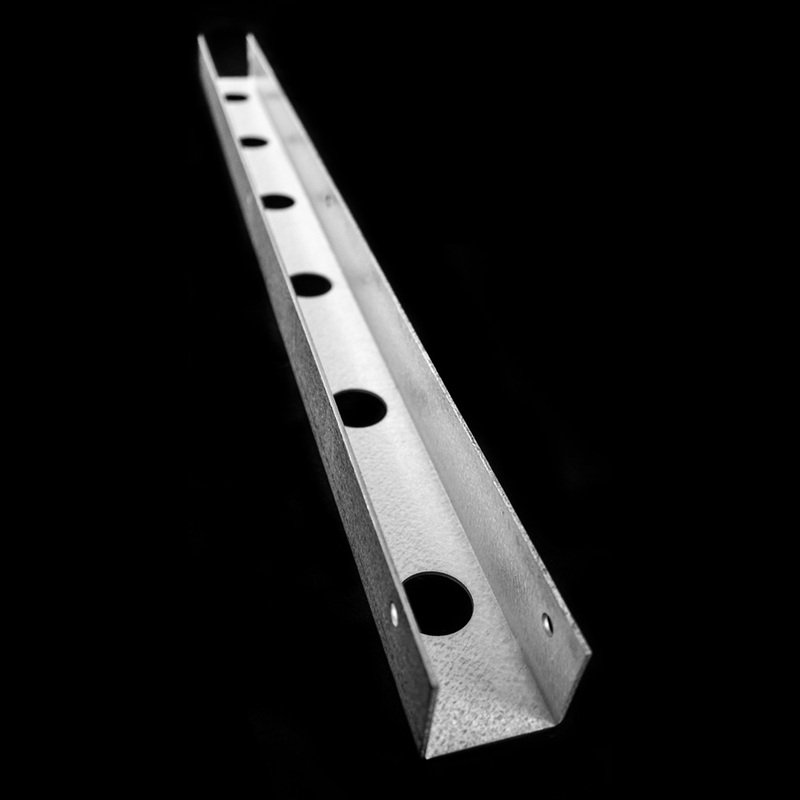 This unique profile allows the track to be squarely mounted to the stall/barn, while the rounded bottom allows for self-cleaning and self-aligning. 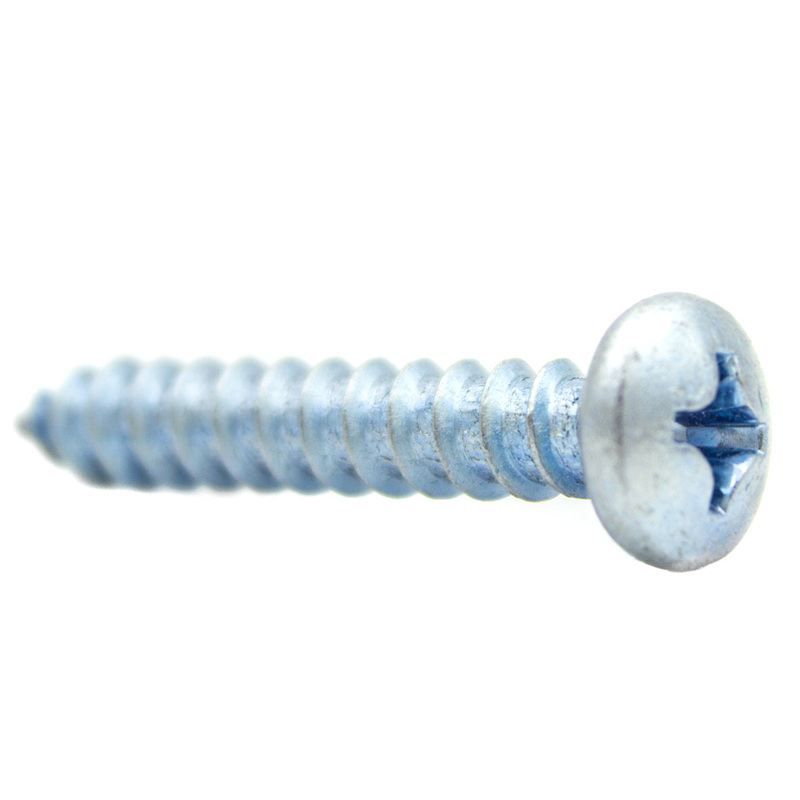 These #10 - 1.5" long zinc-plated screws are used to attach the Premium track brackets (used to hang your 8' Premium track) to your horse stall. 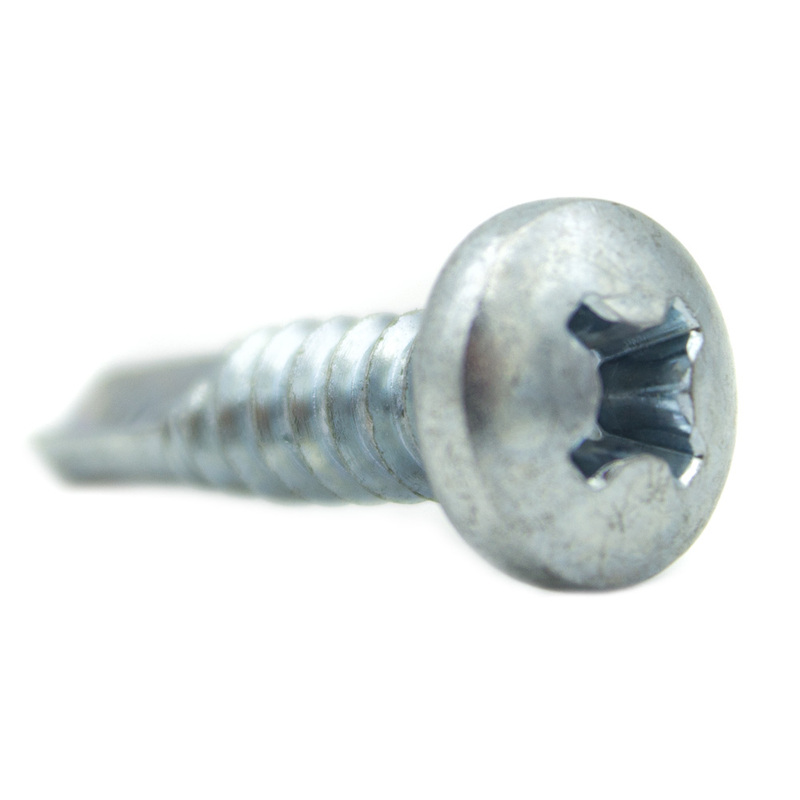 They are only compatible with the Premium track brackets. 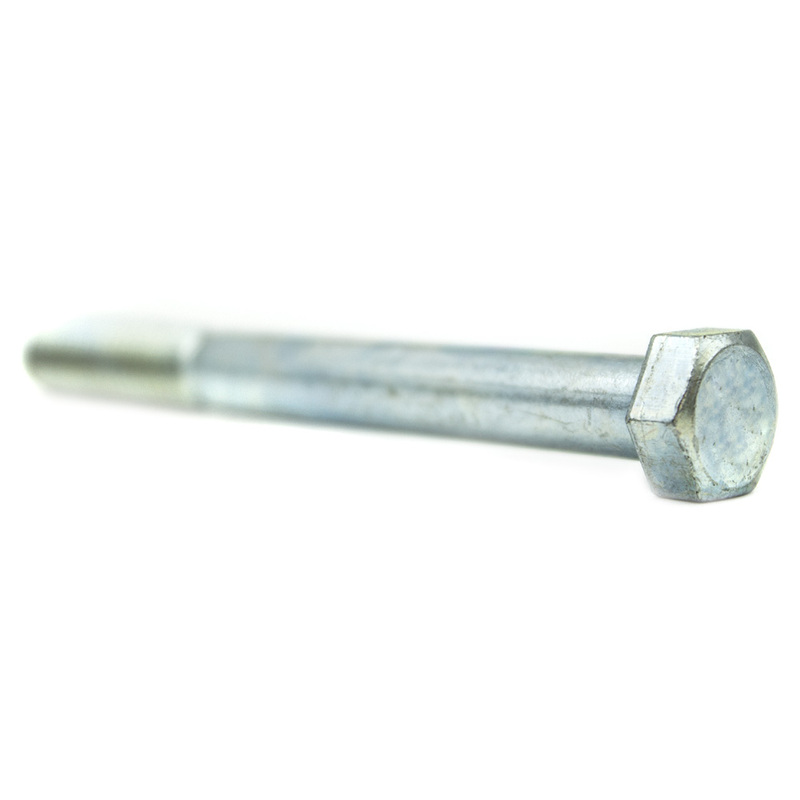 This 3/8" x 3-1/2" hex head bolt will keep your 90° Premium track trolleys from sliding off of the end of your 8' Premium track. 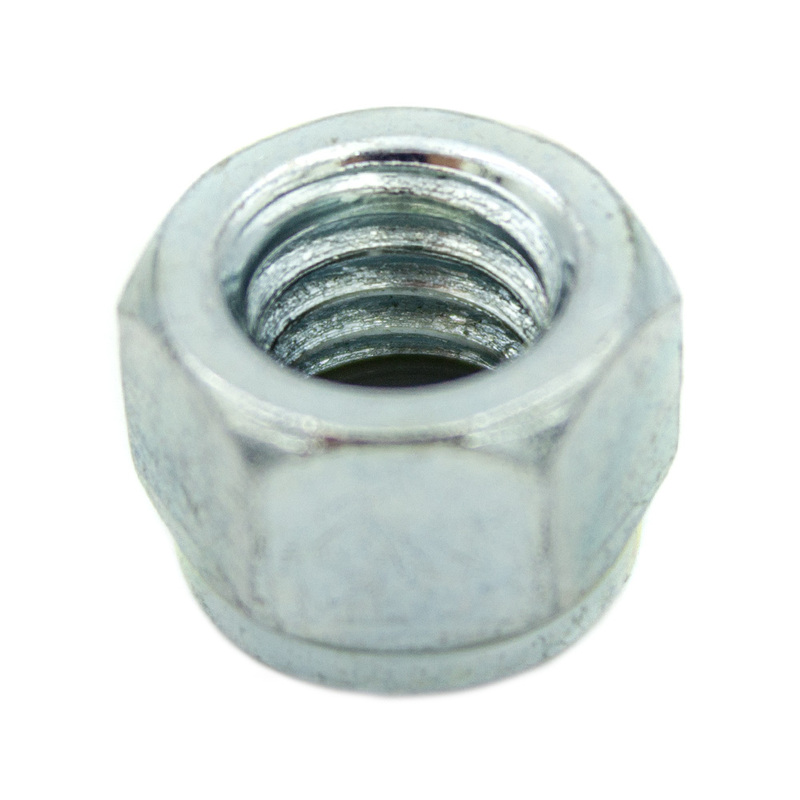 To install, slide the 3/8" washer onto the 3/8" x 3-1/2" hex bolt and fasten with the 3/8" locknut. 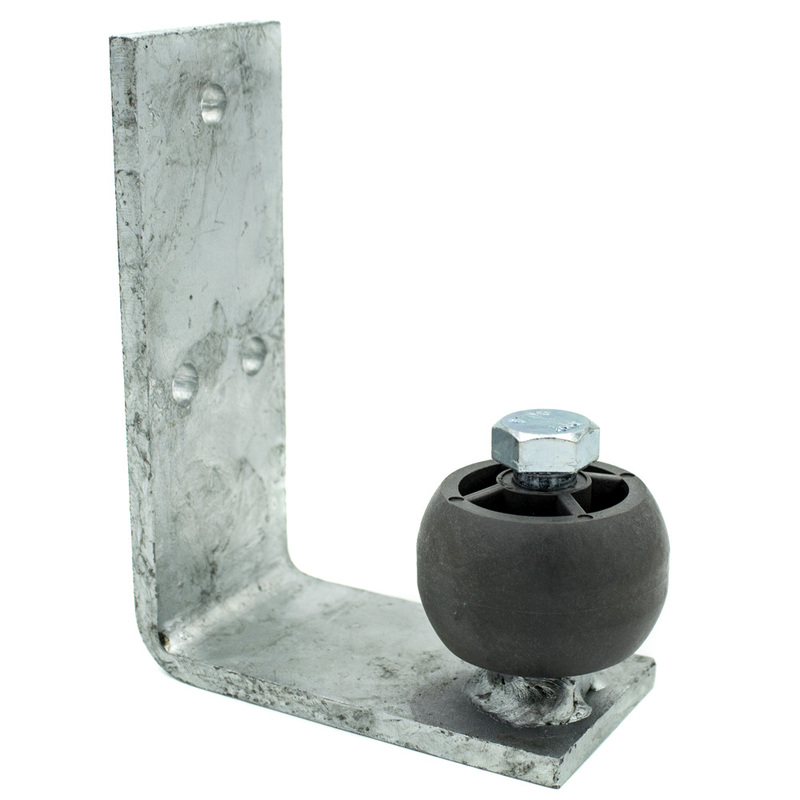 The stay roller is made from an all galvanized steel construction with a heavy black plastic guide wheel. 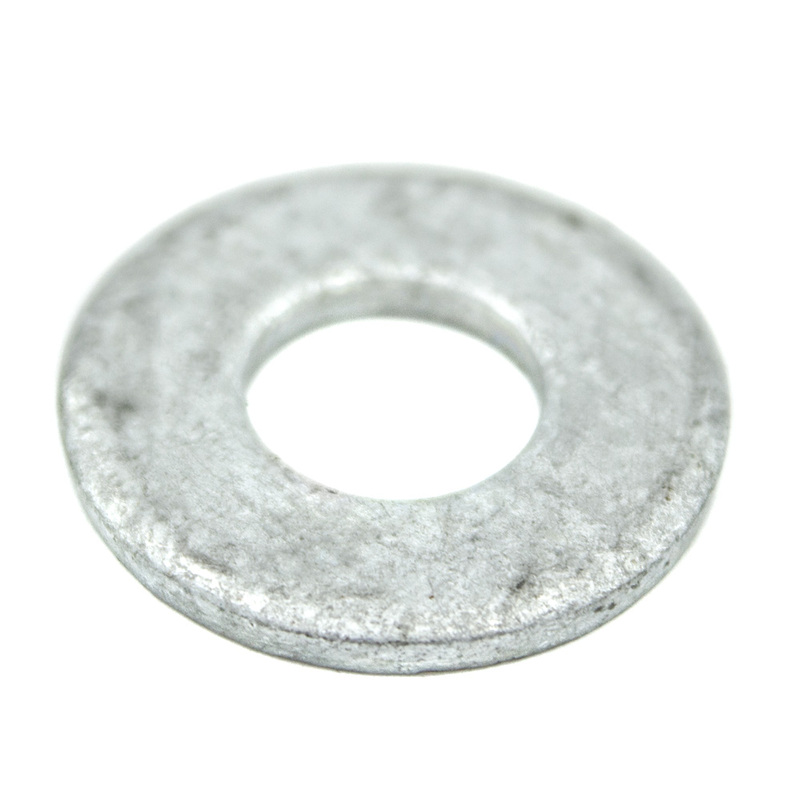 The guide wheel will not chip, rust or mark your stall door. 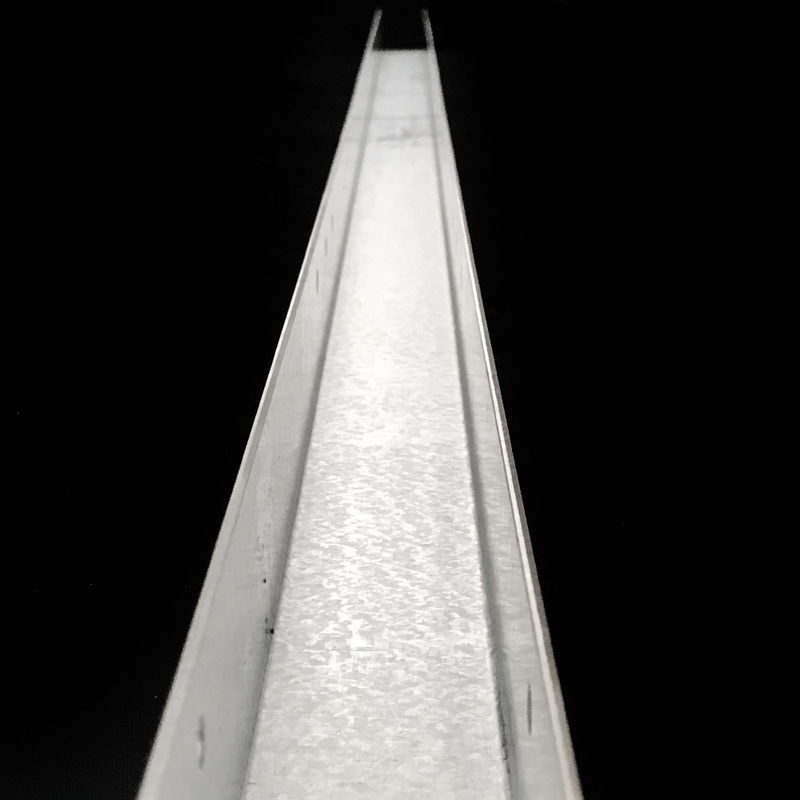 The stay roller keeps the bottom of your stall door from swinging. 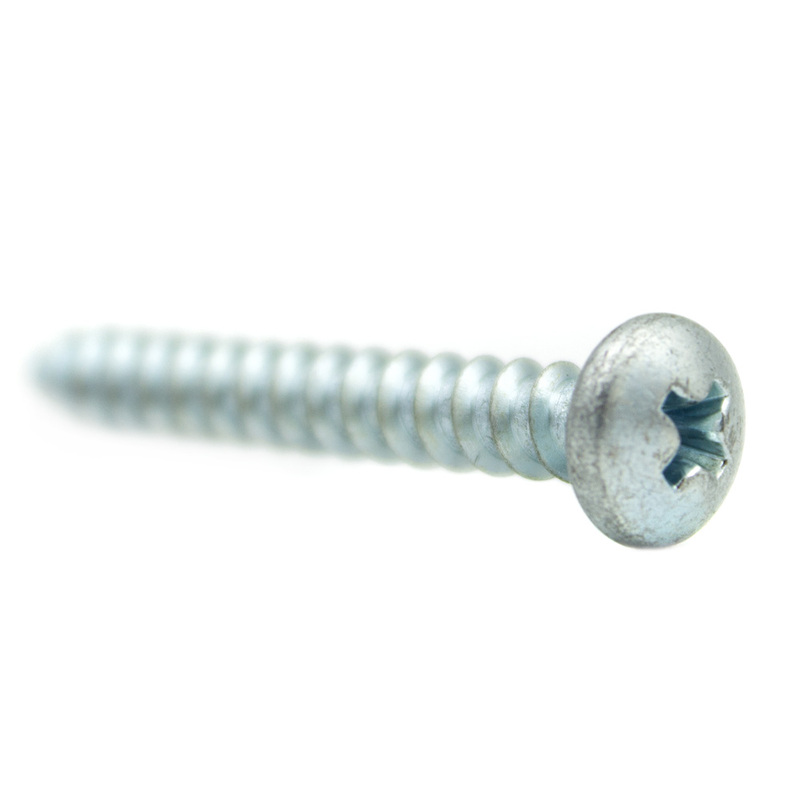 Sold individually, three of these stay roller Phillips-head screws will attach your stay roller to the front of your horse stall. 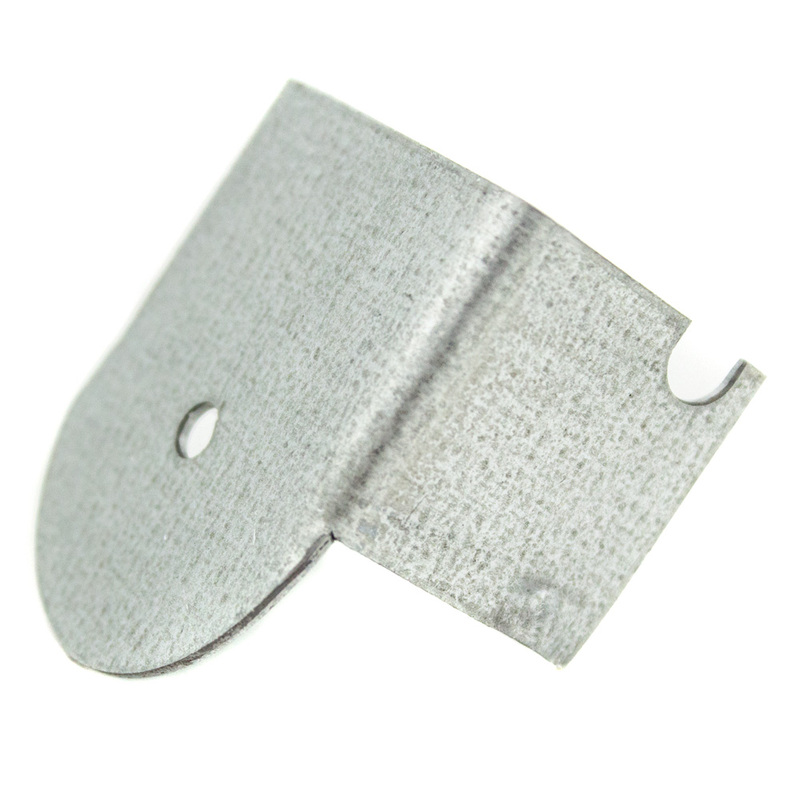 The stay roller is designed to keep the bottom of your stall door from being kicked outward. 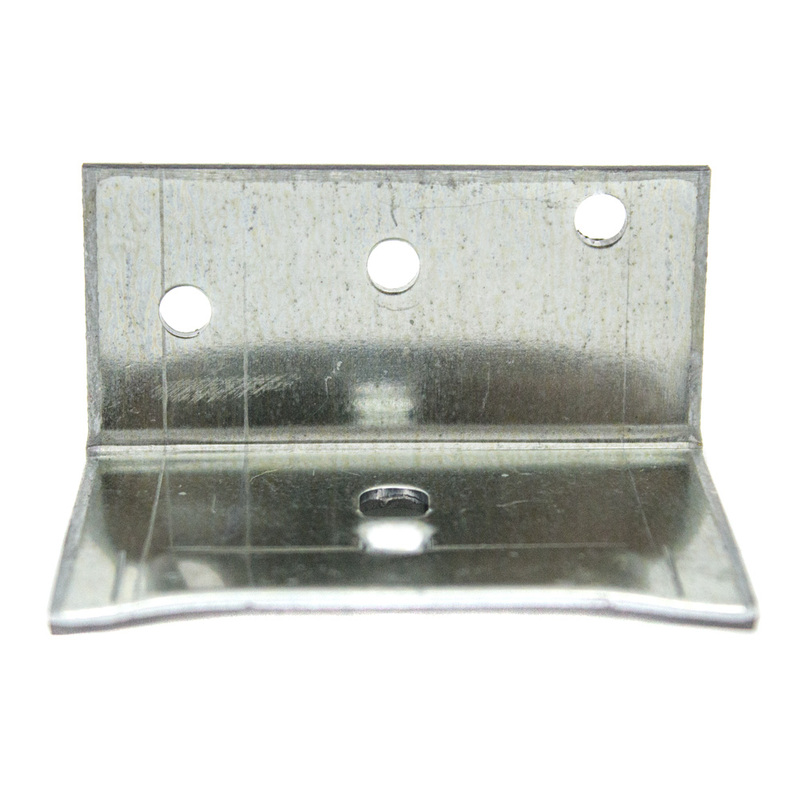 This Derby Pro-Line grill section lets in much-needed ventilation and light. It's great for horses that like to socialize between the stalls. This kit is easily assembled and is a great DIY project! 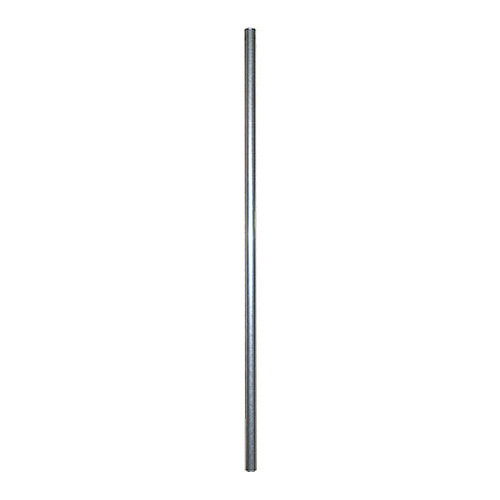 Available in either 48" or 24". 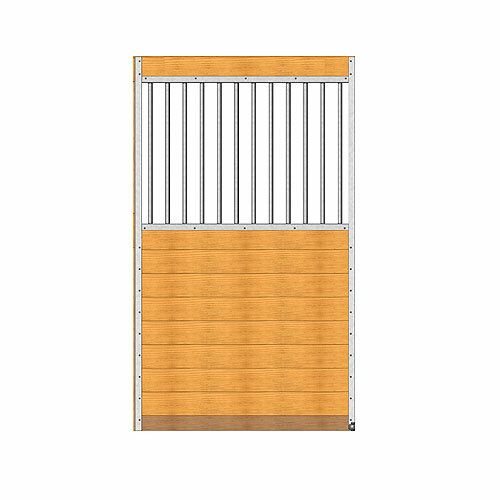 The Derby Pro-Line horse stall doors come standard with a top grill section. 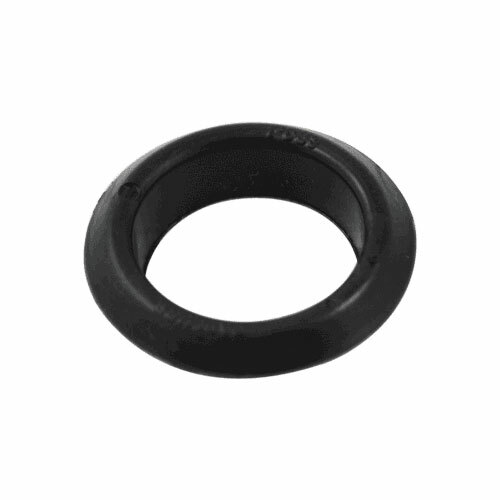 This provides superior ventilation in each equine stall. 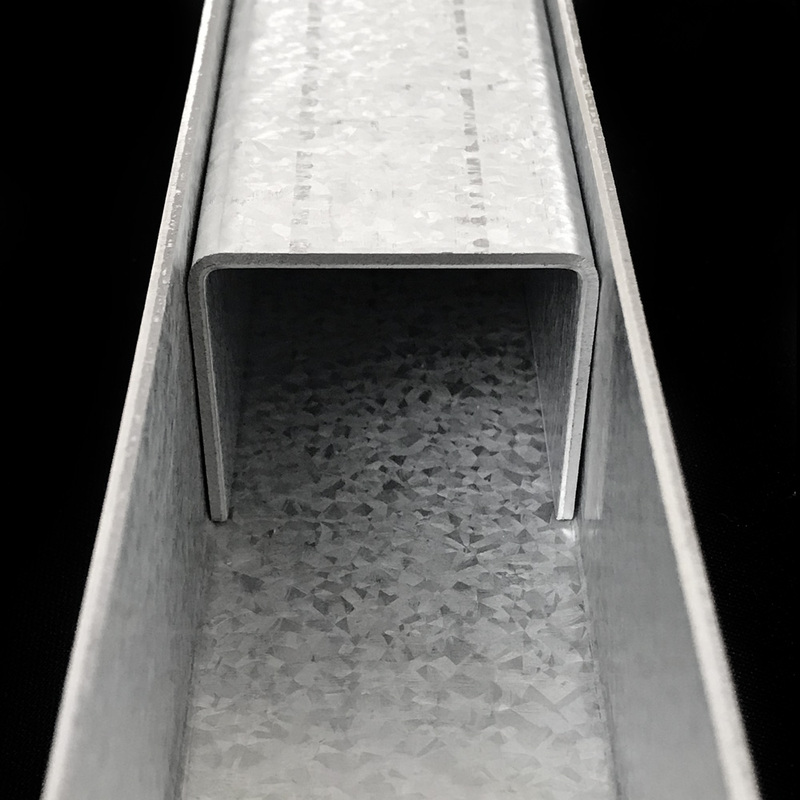 The frame of the door is made from 14 gauge steel and the bars are made from 16 gauge, 7/8" tubing. 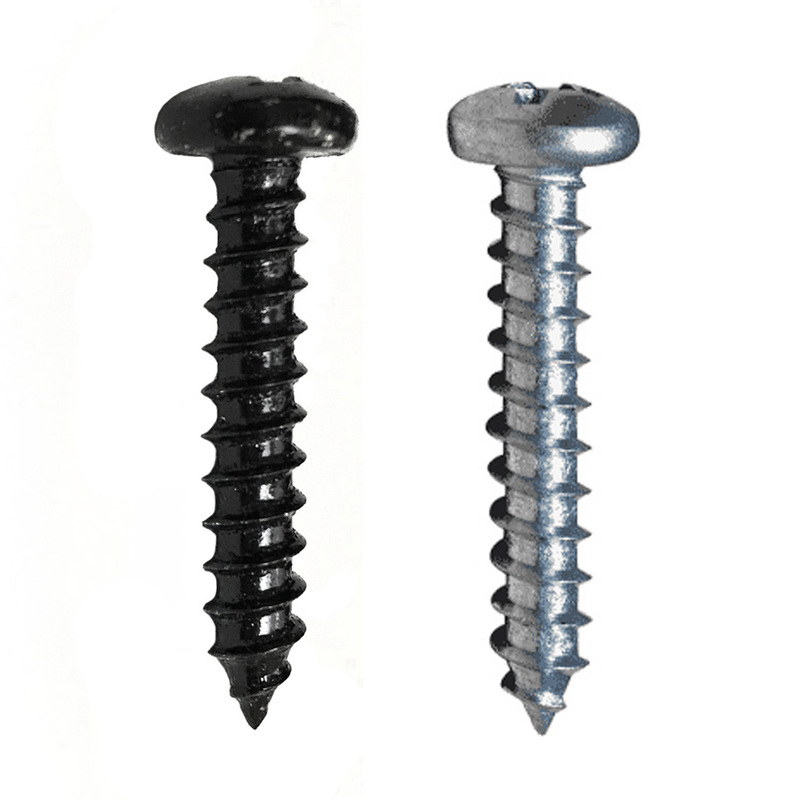 Both are galvanized steel which provides quality rust protection from the elements.